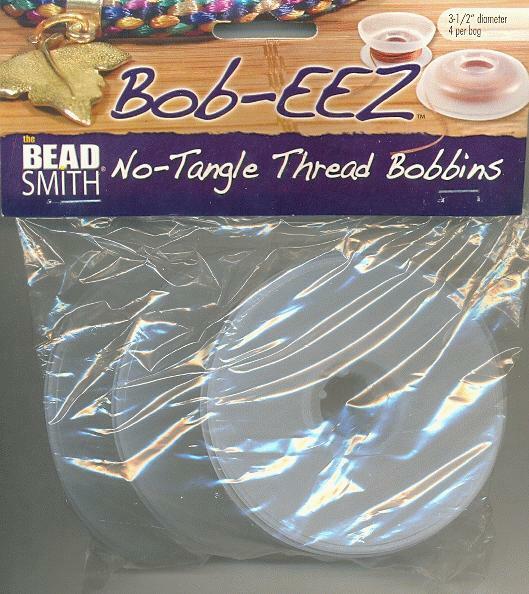 Price listed is for each package of four 3-1/2'' diameter Bob-EEZ no-tangle thread bobbins. These are ideal for macrame and kumihimo braiding. They are stackable, pliable, and translucent.